The impact of the North American Free Trade Agreement and the subsequent flood of cheap US processed food into the country has adversely affected the health of ordinary people. Western ‘convenience’ (junk) food has displaced more traditional-based diets and is now readily available in every neighbourhood. 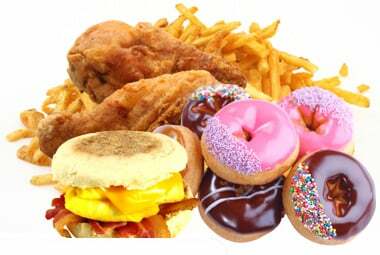 Increasing rates of diabetes, obesity and other health issues have followed. This report by GRAIN describes how US agribusiness and retailers have captured the market south of the border and outlines the subsequent impact on the health of Mexican people. Hand in hand with the practices outlined above has been the growth of the widespread intensive use of chemical pesticides. 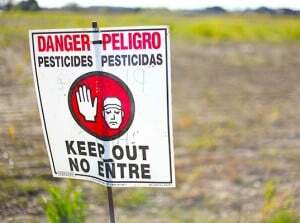 There are currently 34,000 pesticides registered for use in the US. Drinking water is often contaminated by pesticides and more babies are being born with preventable birth defects due to pesticide exposure. Illnesses are on the rise too, including asthma, autism and learning disabilities, birth defects and reproductive dysfunction, diabetes, Parkinson’s and Alzheimer’s diseases and several types of cancer. The association with pesticide exposure is becoming stronger with each new study. Consider that if you live in India, the next time you serve up a good old ‘wholesome’ meal of rice and various vegetables, you could take in half a milligram of pesticide also. That would be much more than what an average North American person would consume. While there are calls for taxes on unhealthy food and emphasis is placed on encouraging individual ‘lifestyle changes’ and ‘healthy eating’, it would be better to call to account the corporations that profit from the growing and production of health-damaging food in the first place and to get agriculture off the chemical treadmill.